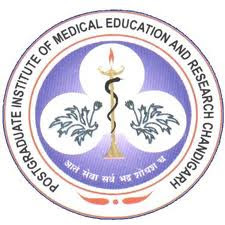 The Postgraduate Institute of Medical Education and Research (PGIMER), Chandigarh invites OFFLINE applications from Indian Nationals for recruitment to the tenure posts of Senior Residents, Jr./Sr. Demonstrators and Senior Medical Officers (Casualty in Emergency). The written examination of 60 marks of the eligible candidates possessing the prescribed qualification (recognized by M.C.I.) etc. for the above posts and within the age limit will be conducted on specified days i.e. 20.06.2017, 21.06.2017 and 22.06.2017 at 10.00 AM at Dr. P.N. Chuttani Block (Research Block-B), PGIMER, Chandigarh. The result of written examination shall be declared on the same day. The candidates who clear the written examination will be assessed by the Departmental Committee. The number of candidates called for Departmental Assessment will be three times the number of seats available as per advertised post. The departmental assessment would consist of 25 marks and is based upon clinical evaluation / laboratory testing / detailed structured viva. The departmental assessment of the candidates will be done on 21.06.2017, 22.06.2017, 23.06.2017. The candidates will be required to appear for interview which consists of 15 marks before the Selection Committee on 22.06.2017, 23.06.2017 and 24.06.2017. The interview with the Selection Committee is mandatory. Job Profile: Senior Residents, Jr./Sr. Demonstrators and Senior Medical Officers. Closing date for submission of offline applications (by speed post/regd. post/by hand) is upto 1st june 2017. Only those candidates are eligible who have passed Postgraduate degree in the specialty concerned or its equivalent & M.Sc. in subject concerned/ Ph.D. in the subject concerned/allied subject. The short-listed candidates after the written examination will be called for Departmental Assessment and interview. The candidates applying for the post should first confirm their eligibility before going to the website of www.pgimer.edu.in . Candidates are required to apply OFFLINE through the Institute website www.pgimer.edu.in.The application form will be available on PGI website www.pgimer.edu.in from 11.05.2017 to 30.05.2017 (11.59 p.m.). The last date of deposit of application fee in the Bank and submission of offline application (hard copy) is 01.06.2017. The candidates should regularly checkup the website as the Roll Number & other information will be conveyed online through the Institutional website. Kindly go through the detailed Advertisement No. PGI/RC/058/2017/ Dated: 09.05.2017 before applying for the posts.